This is a popular thread in several of the other sub-forums on CL, so I figured it would be fun to see what everyone is getting to detail their cars or customer's cars. ... will be placing another order next week with some fun stuff, too! I picked up a 2010 IS250C for my wife last month, which has rekindled my interest in detailing. I gave away a lot of unwanted product via the local Freecycle group, and picked up a few new things. The plan for the IS is clay, polish with the SF4000, and coat it with Gtechniq EXOv2. I chose the EXOv2 because its application is nearly foolproof, in contrast to products like Opti-Coat, that require more care. I kept the Zaino and Opti-Seal for when I detail other people's cars, as I don't want to use the expensive coating on their cars. The products I gave away were mostly sealants: Klasse AIO and HGSG, Blackfire sealant, 4 Star UPP, and various instant detail sprays I no longer use. No pics of the boxes I got from Autogeek but here is what is on the shelves of my garage. Oh yeah, there's a bottle of Chemical Guys "Stripper Scent" hidden back there, so my wife can't see it. Ever applied Opti-Coat? It is very easy. 22ple is even easier... I would consider most coating applications easy from my experience with them. Some of the stories about streaking problems with Opti-Coat when applied in hot climates had me a little nervous. 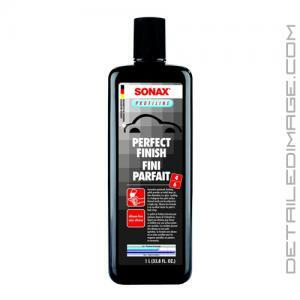 I wanted to start off with something foolproof before moving on to longer lasting coatings. EXOv2 seems to have been developed specifically to be easy to apply, with just a small compromise in longevity. My impression of Opti-Coat is that it has the reputation of being the longest lasting of the coatings (effectively permanent), but also the trickiest to apply. I just applied OC2.0 last weekend in 90 degree relatively humid weather and it was a piece of cake. I use the CarPro applicators (that come with CQuartz Finest, but you can purchase them separately as well) and they are fantastic. 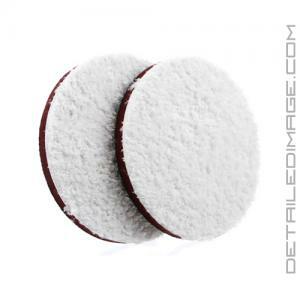 OC2.0 is self leveling, so if you don't apply it too thin it just disappears on it's own, if not it is safe to follow up with a very light wiping with a clean microfiber a few minutes after application (time depends on ambient conditions). You can get a few vehicles out of 1 tube, so it is not like you are out of luck if you "mess up" a little bit on your first go around. As far as the durability claims... I could care less as long as a coating gives me 1.5-2 years of life. I will polish my vehicle every 1.5-2 years anyways so that would remove whatever coating might still be applied. Anyways, don't be afraid of trying those products. i see it. it's behind the OPS and next to the menzerna :D:D. i love that stuff. i use it when i vacuum ( instead of using LOVE MY CARPET, i use STRIPPER SCENT:D ) the carpets in the house:D the house smells heavenly. Z... let me know how the Car Pro works out? i am intrigued by the G-Technic products also, have you ever used them? ^A better idea of what showed up at my place yesterday... everything to the right of the CG Black on Black is not for me though. ^Will do... I'm going to be applying CQF to a customer car this weekend and will be removing the 22ple and applying CQF whenever I get time. I have no experience with any of the G-Technic products. looks like you're off to a good start. the Blitz sealant is very good, try not to get it in the cracks and crevices because when it dries... the P40 detailer is not bad also. where's the HV7? You've got enough glaze and sealant to last a lifetime... I've been working on the same bottle of EZ Creme glaze for about a year now and have used it on 10+ cars. It is maybe 1/2 gone. I am not familiar with or have never used several of those products, but it looks like you're off to a good start. Hopefully you have some more buffing pads because 1 of each color is not going to be enough. I was having a hard time deciding between blitz and V7, but ultimately went with Blitz because of its better durability. 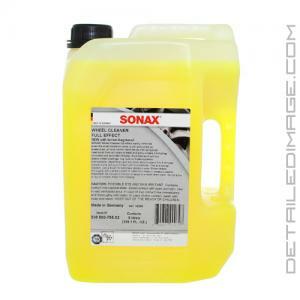 V7 is a fantastic product for quick detailing wipe downs and to use when drying the vehicle... I would not count on it for much additional protection, but it is a nice booster product to use on a regular basis. I usually give every car a quick once over with V7 immediately before a customer picks up their car. I also use it when drying my car to help provide some lubrication for my drying towel and it also leaves a nice smooth surface behind. I love the stuff, and it is cheap too!